Originally an evolutionary anthropologist, I am interested in human evolution and on that of its pathogens. Research in the group focuses mainly on the evolution of Borrelia bacteria responsible for Lyme disease but also on other projects related to human and bacterial evolution. Lyme disease is one of the most frequent zoonoses in the Northern Hemisphere. 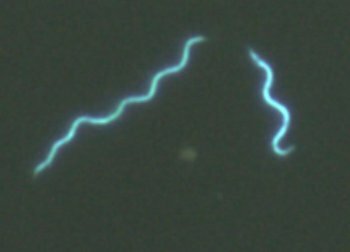 It is caused by bacteria of the Borrelia burgdorferi sensu lato species complex transmitted form host to host by tick vectors. Understanding the evolution of Borrelia bacteria in the context of their adaptation to their different hosts is crucial for the understanding of the geographical spread of the disease as well as their adaptation to the human immune system. In collaboration with Dr. G. Margos and Dr. V. Fingerle from the Bayerisches Landesamt für Gesundheit und Lebensmittelsicherheit, I have developed a project focusing on the evolution of Borrelia from different species and on their adaptation to their hosts. The methods used are mainly those of population genomics. Robert Rollins, PhD student on the DFG Project "Host and vector adaptation in the tick-borne human pathogens Borrelia"